Crown Ridge, one of our Gold Properties is on sale during peak low season. This splendid 3 bedroom, 2 bath property offers stunning views of the sea. Sunset cocktails are best enjoyed in your poolside loungers. Listen to the sound of song birds serenading you as you while away the hours at this blissful retreat. The owners of Crown Ridge created a comfortable oasis for their discerning guests. Come experience your own seaside villa. During the summer months, we are offering an exclusive 10% discount. 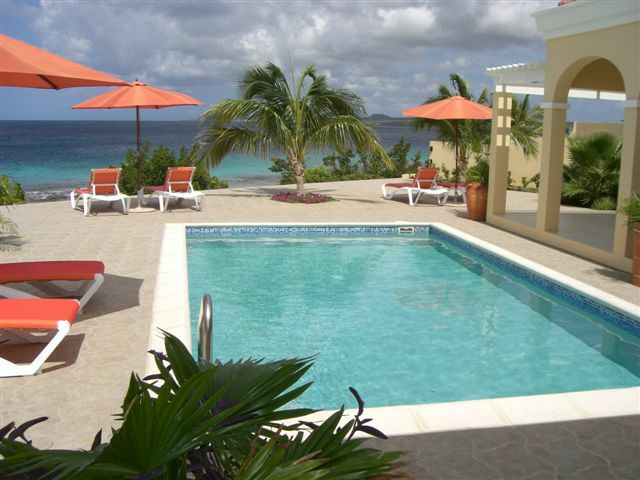 Contact ann@bonairecaribbean.com and reference Crown Ridge Bliss Special. This entry was posted on April 29, 2015 at 1:07 am and is filed under Where to Stay. You can follow any responses to this entry through the RSS 2.0 feed. You can leave a response, or trackback from your own site.